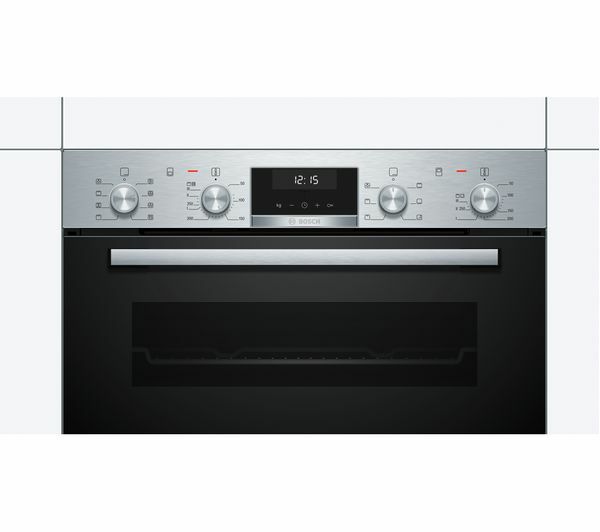 Cooking is straightforward with the Bosch Serie 6 MBA5350S0B Electric Double Oven. 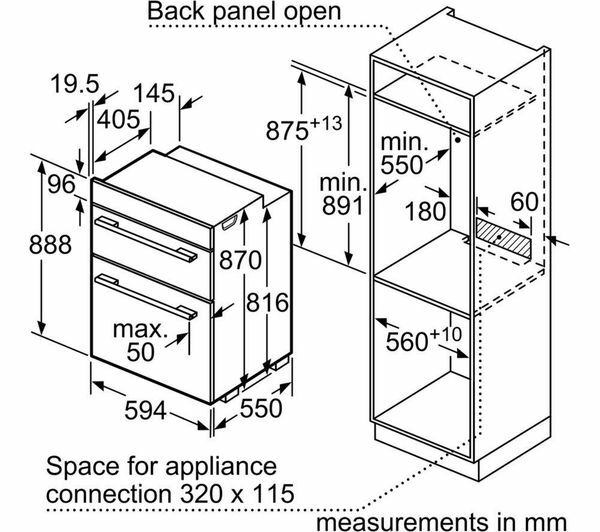 Eliminating the guesswork of where in the cavity to place your roast, the 3D Hotair function circulates heat evenly so that every level of the oven is at the right temperature, for delicious results. 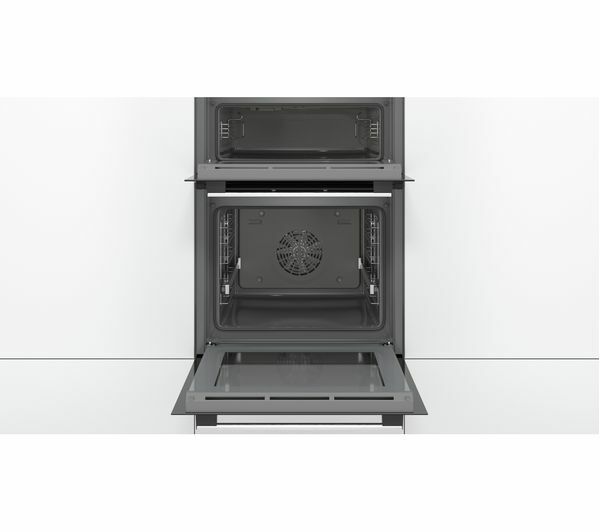 Telescopic rails make it simple to adjust the space inside the oven, so that you can cook larger dishes with ease. 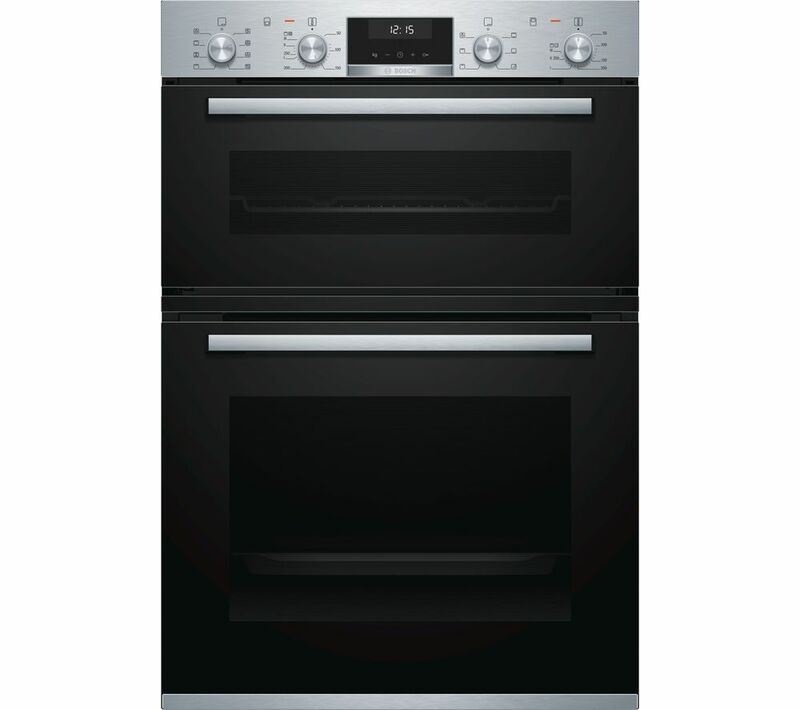 The Serie 6 MBA5350S0B has 10 pre-set automatic programmes to simplify cooking even further. Whether it's a pizza, grilled fish, or simply something you want to reheat from last night, you can always expect great results. With the LCD display control, you have easy access to programs, temperature recommendations and much more. Sick of nasty smells and hard scrubbing when it comes to cleaning your oven? 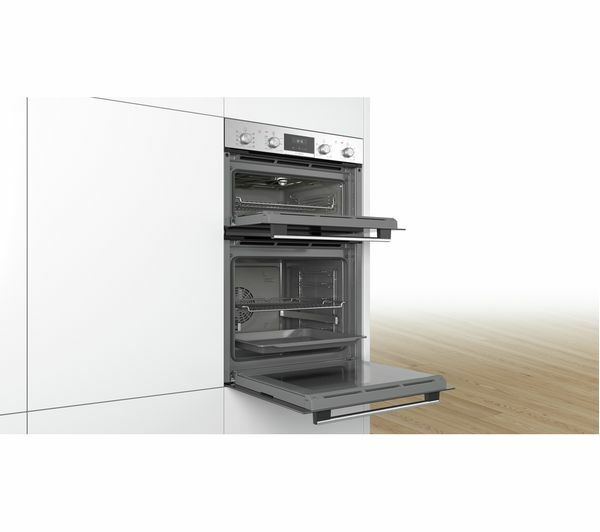 This Bosch Electric Oven is equipped with an EcoClean Directself-cleaning function, which will do the dirty work for you so that your prime concern remains putting good food on the table. Fingermarks on the stainless steel facia are difficult to remove. Very quick to get to temperature. Alarm on timer could be louder.